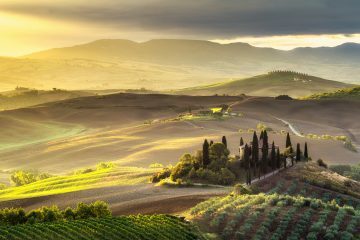 Capital to Italy’s Tuscany region, Florence is home to unique Renaissance art and architecture that has travelers flocking by the masses. Although a surprisingly small riverside city, Florence has earned its place on the world’s ‘must-sees’ cities list. 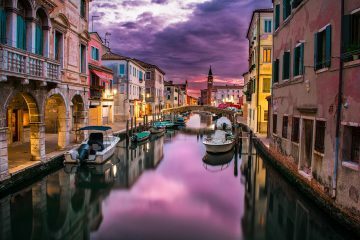 Full of iconic sights such as Duomo, the bell tower and the bridge Ponte Vecchio, and home to Gucci himself, the city reflects incredible pieces of history in its narrow streets. 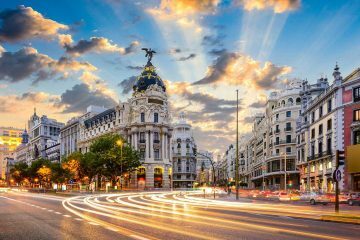 With fine wine and architecture comes luxury accommodation, and surprisingly there is plenty of choice in this compact city. To help you choose between the best, here are a few of our personal recommendations to help you see Florence in style. Located in the heart of Florence, between the Uffizi Gallery and Florence Cathedral, the Rocco Forte Hotel reflects the history of the city. Complete with elegant rooms in a contemporary style, each room combines Italian design with artworks inspired by local fashion houses. The highlight of the rooms, however, are the incredible views overlooking the square, of Brunelleschi’s dome, or of Giotto’s Bell Tower. The facilities in this five-star hotel are also top notch, from the on-site restaurant serving Tuscan specialties to the modern top-floor gym with views of Florence’s rooftops. 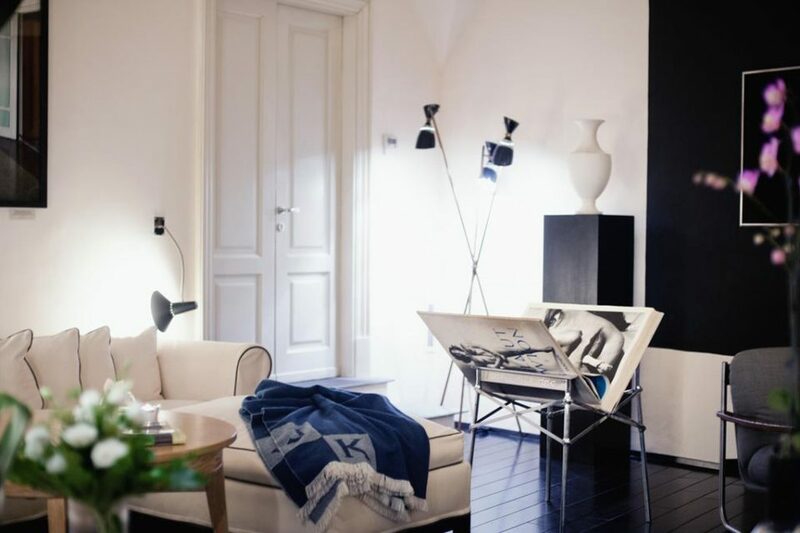 Owned by the Ferragamo family, Hotel Lungarno is full of original modern art and 20th-century artwork, and of course comes with a personalized family service. The attentiveness of the staff is praised here and guests have also commented on the delicious food. A mouth-watering breakfast is laid out every day, boasting of freshly made bread, hams, cheeses and every imaginable fruit possible. The hotel restaurant is also popular with the locals which say a lot about the top quality. 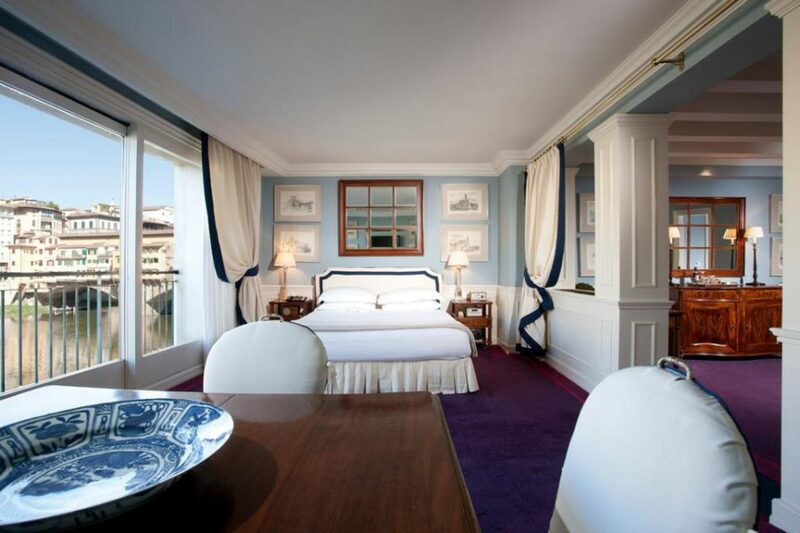 As well as great food and service, guests can benefit from a prime location in Florence, grand rooms and unique views over the River Arno and the Ponte Vecchio. If you’re looking for class and convenience, Hotel Lungarno is a great choice. 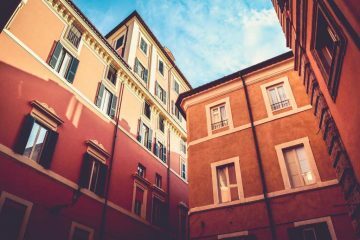 If you’re looking for something a bit different and outside of the city center, look no further than Relais Santa Croce Hotel. Set in a charming old farm, with a chapel, two restaurants, and surrounding vineyards, this location is nothing but beautiful. The historical building is also stunning, full of 18-th century history and grand interiors with antique furniture and fine fabrics. With rooms just as grand, some offer walk-in closets, rain showers or Turkish baths. As well as amazing interior decoration, the hotel also offers high-quality nourishment. With fresh produce bought daily from the Sant’Ambrogio Market and award-winning Pinchiorri wine on site, does it get any better than this? 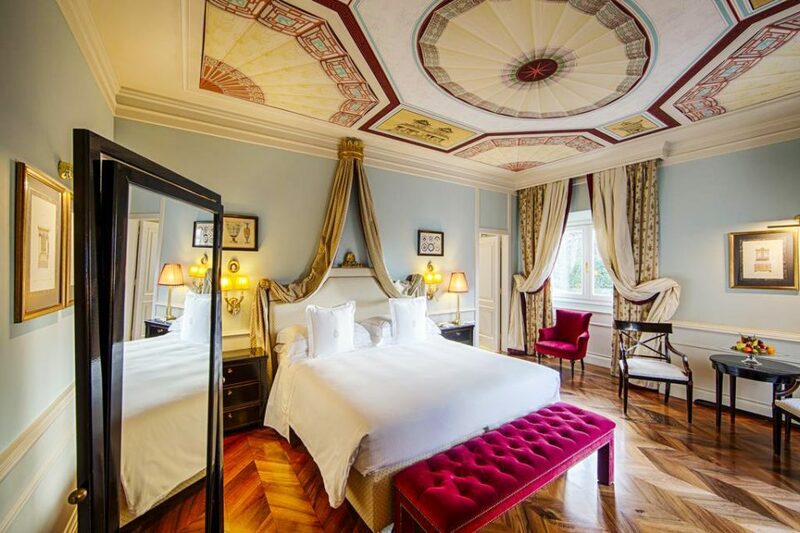 If you’re looking for a simply stunning five-star hotel, the Relais Santa Croce is one of the most luxurious, stylish and elegant properties in Florence. If you want an overall exceptional experience that exceeds your expectations, then Villa Cora will knock them out of the park. Located in a gorgeous park, this beautiful 19th-century building exudes elegance and sophistication throughout. Offering impeccable facilities, including an outdoor swimming pool, a wellness center, and fitness center, trust me when I say you will not be disappointed with anything here. 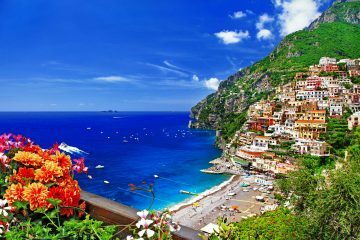 Although located away from the city center, there is a convenient shuttle bus and the hotel offers an incredible Italian restaurant that will make you not want to leave anyway! With a sensational breakfast, plush rooms and first-rate service, you won’t want to ever leave your five-star bubble. Is there a level above first-class? If there was, it would be to the standard of Portrait Firenze Hotel. 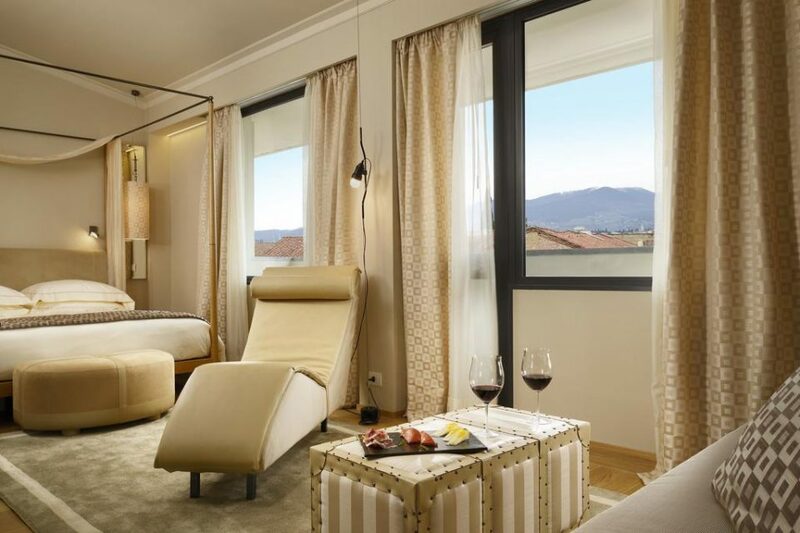 Offering an incredibly modern interior, Portrait Firenze has sumptuous rooms with soft handcrafted furniture and stunning panoramic views of Florence and the Arno River. Guests have particularly raved about these views, saying that you can hear artists play their music on the Ponte Vecchio from your room. This incredibly intimate experience of listening to their music with a private view is completely unique to this hotel. As well as a contemporary retro-chic design, this hotel also offers exceptional service, delicious food, and a luxurious spa. Sounds like it is worth every penny. If you want somewhere that feels like you’re coming home, the small boutique hotel of J.K. Place Firenze will do just that. Everything about this hotel will make you feel at ease, from the helpful and welcoming staff to the delicious food and comfortable rooms. The rooms and suites at J.K. Place are incredibly modern, with stylish design features and gratifying views over the hotel’s gallery or terrace. I could talk about the superb rooftop views or the many complimentary refreshments that are left in your room daily, but I’m going to boast about the hotel’s food instead. Guests have noted in particular that the a la carte breakfast is a true experience. Wouldn’t you like to enjoy a leisurely breakfast on a beautiful terrace overlooking Santa Novella Square? 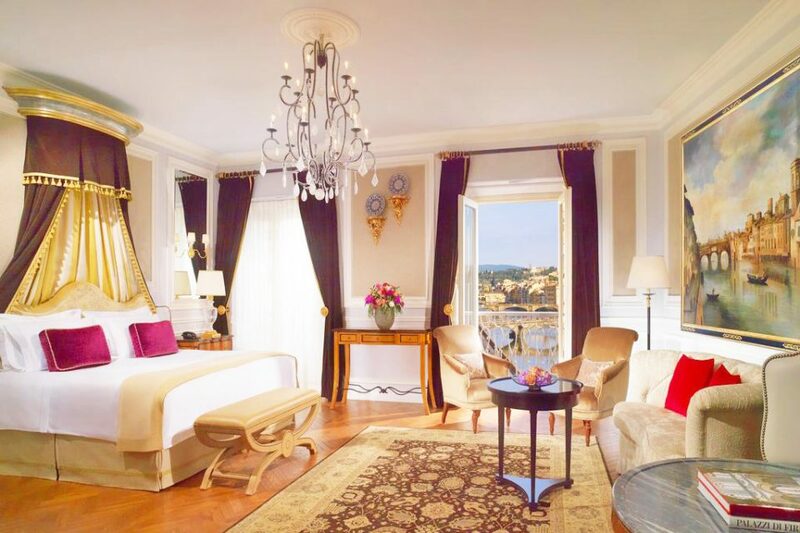 Located along the Arno River, the St. Regis is in a prime location to see all the main sights in Florence. Set in a beautiful historic building, this five-star hotel boasts an exclusive spa and gym, luxury rooms with antique furnishings and a Michelin-starred restaurant. Guests can indulge in modern Tuscan and Mediterranean dishes in the award-winning restaurant, followed by the famous champagne ritual at the bar with chef Michele Giglio. As well as first-class facilities, the hotel also offers excellent service and a truly blissful atmosphere. If you want a hotel away from the city, then the Four Seasons Hotel is a perfect choice. Set in a stunning 15th-century building and surrounded by 4.5 hectares of pristine gardens, the park will make you feel like you’re in an enclave right in the heart of Florence. As you can imagine, the hotel is very grand, offering a 2-floor spa, an outdoor pool, and Michelin-star restaurant. As well as the incredible facilities, guests can also benefit from prestige rooms and suites, kitted out with Renaissance décor and modern amenities. 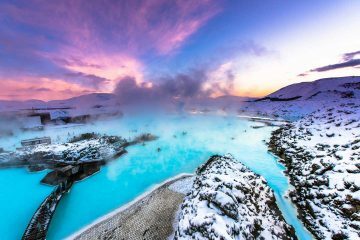 If you want a place where you can make memories, this fairytale location is an ideal start. 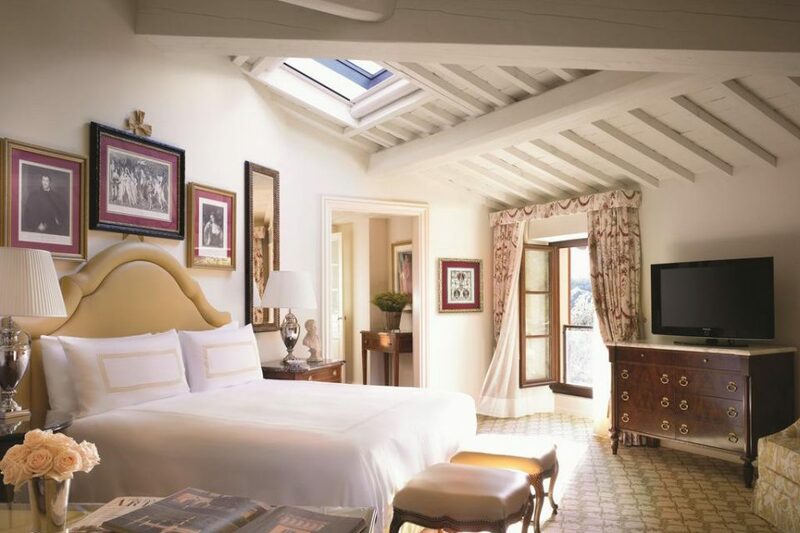 Nestled in the Tuscan hills and benefiting from sweeping views of Florence is the Il Salviatino Hotel. Close enough to town so that it is easy to visit but far enough away to feel secluded, you will wake up to birdsong and breathtaking views of the hills every morning. 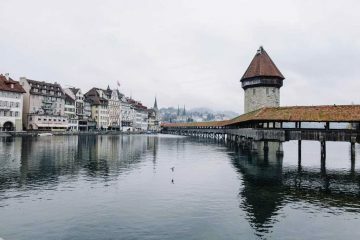 Although a converted renaissance villa of the 15th-century, guests can take advantage of both the history and modern elements that the hotel offers. From extensive landscaped gardens and old worldly decoration to Technogym equipment, and innovative spa, guests can have it all. Other faultless facilities include the elegant rooms complete with rain showers and the amazing restaurant that uses local produce to make mouthwatering Tuscan recipes. 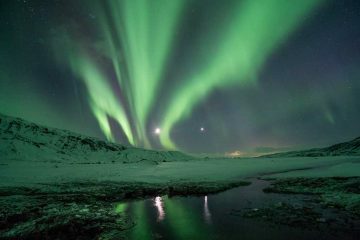 Want to stay in one of the leading small hotels of the world? Well, Hotel Regency is on that list. This little five-star gem of Florence is located in a quiet residential area, hidden away from the busy city center just enough to feel secluded. Although slightly out of the way, you can walk everywhere if you wish or rent bicycles for free from the hotel to explore further. Being a small hotel, the service and level of attentiveness to each guest is incredible. The hotel itself is beautiful and creates an elegant, homey feel inside to create a real sense of comfort. The luxurious rooms are individually decorated in a charming Tuscan style, offering views of either the historic square or lush parkland. For such a leading hotel, expect pristine conditions and amazing Tuscan food from its renowned restaurant. Guests have raved about the Golden Tower Hotel & Spa, particularly praising its ideal central location and the exemplary service that is worth the stars. 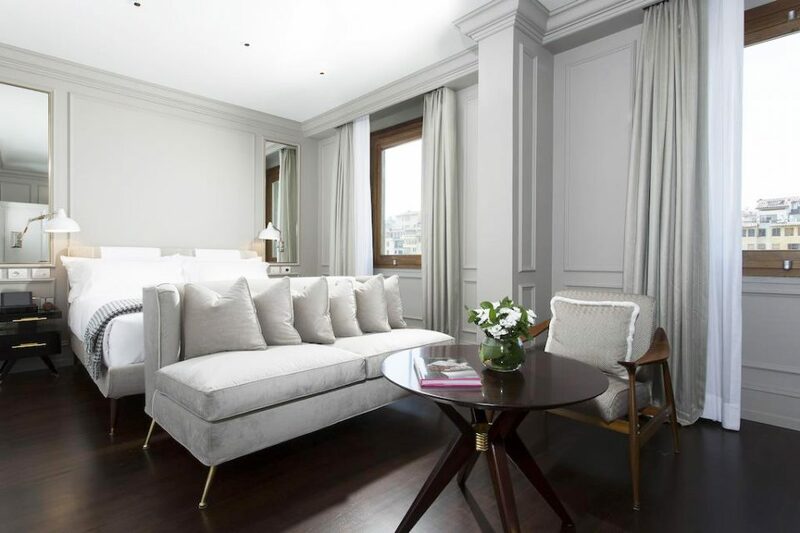 Located in Florence’s most exclusive area, this five-star luxury boutique hotel has access to key spots such as the Cathedral and Uffizi Gallery, whilst still preserving a quiet and private feel inside its doors. The hotel is full of classic elegance, from its furnishings and decoration to its facilities like the spa and its lavish rooms. 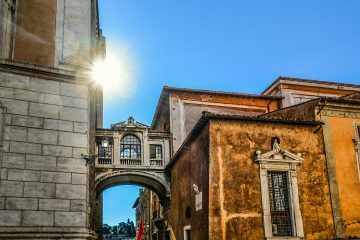 While the hotel does have 15th-century features such as original frescoes and fireplaces, the atmosphere is still one of comfort and familiarity. Whether having a buffet breakfast each morning or complimentary drinks and nibbles in the evening, trust me when I say this place feels like coming home. 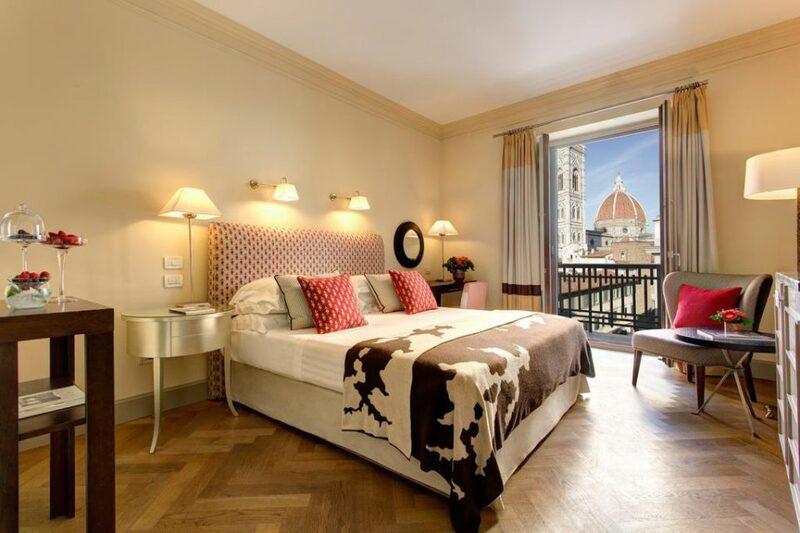 Rumor has it that, Hotel Santa Maria Novella has the best rooftop views of Florence! Whether that’s true or not, you will have to decide for yourself. 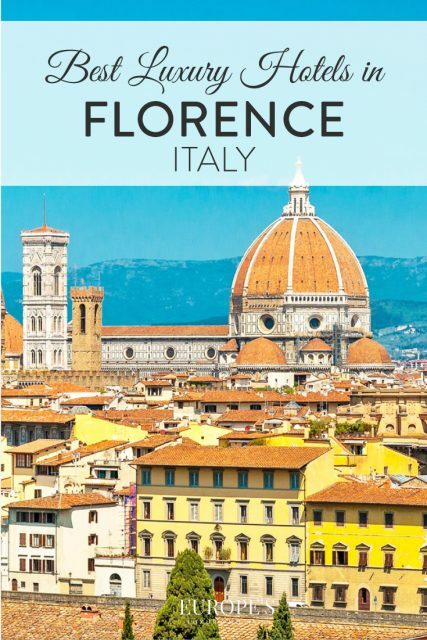 Located a stone throw away from all of Florence’s must dos, you can walk to Porcellino, Porte Vecchio bridge, Piazza del Duomo, Galleria dell’Accademia and Florence Cathedral, as well as the train station. 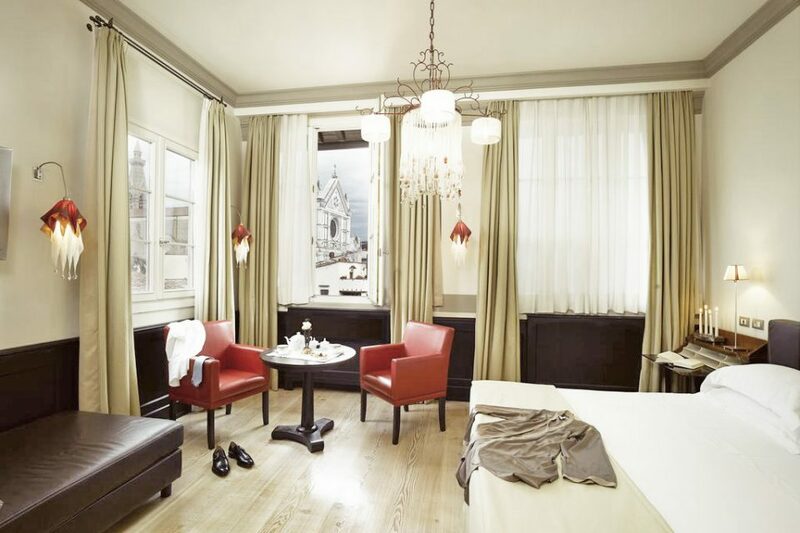 Situated in a picturesque square, the luxury hotel offers a period elegance with modern features, which extends to the grand rooms, and a stunning rooftop terrace overlooking the Basilica of Santa Maria Novella. If you’re looking for a convenient luxury and a place where you can appreciate the beauty of Florence, Hotel Santa Maria Novella is it. Interested in food, shopping, and art? Who isn’t right? 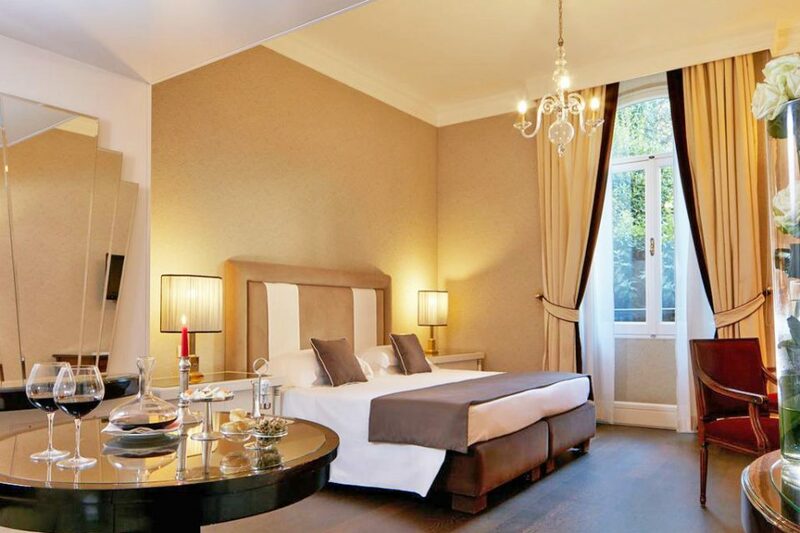 At the Grand Hotel Minerva, you can have it all. 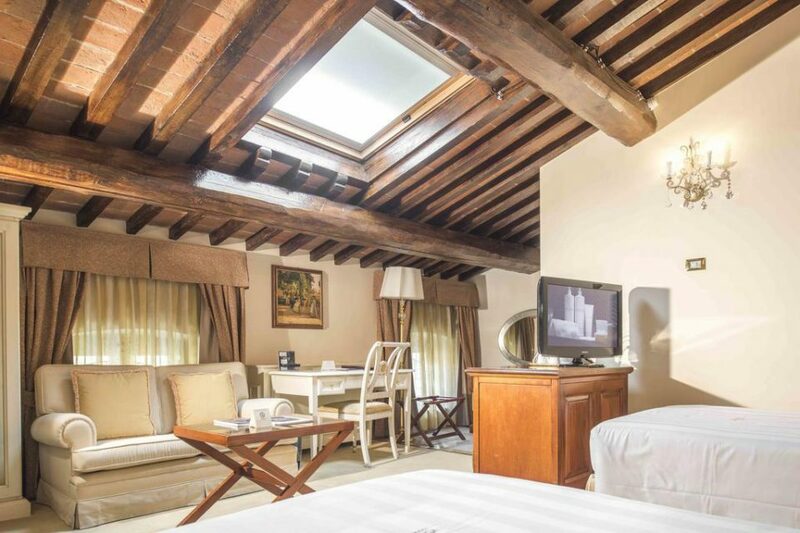 Located in central Florence, guests can take advantage of the nearby sites and bask in views of the Santa Maria Novella and the Duomo from both their rooms and the rooftop terrace. The terrace is a particular highlight of the hotel, complete with a bar, lounge areas, and an immaculate pool. As well as the unique views of the city, the hotel boasts newly refurbished rooms which are modern and sophisticated with spacious bathrooms. The variety at breakfast and the traditional Italian dishes at the restaurant are also worthy of a mention. Last but not least, we have Hotel Balestri! Centrally located along the Arno River, guests can benefit from both proximity to Florence’s sites and the views of both city and the river. 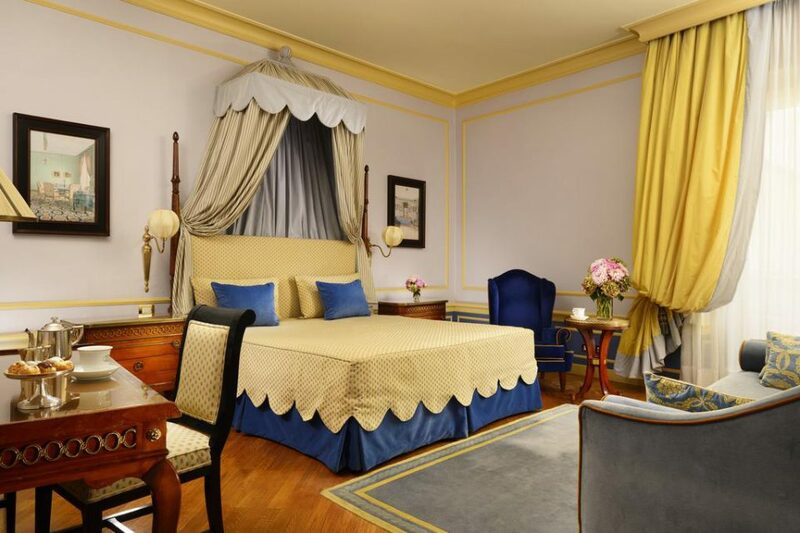 The hotel itself is decorated in a classic style with antique furniture and the sizeable rooms are just as elegant; some rooms have a balcony with views of every side of Florence. Although the hotel offers convenience and interior beauty, the best thing about it is said to be the breakfast. With a wide variety of choice and prosecco in the morning, you can’t go far wrong! 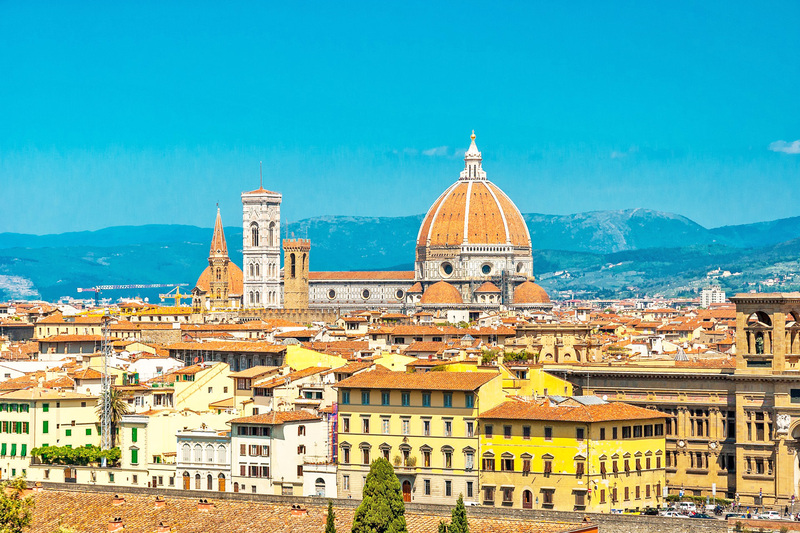 If you’re looking for a hotel that offers great food and rooftop views of Florence right in the center, then look no further than Hotel Balestri. 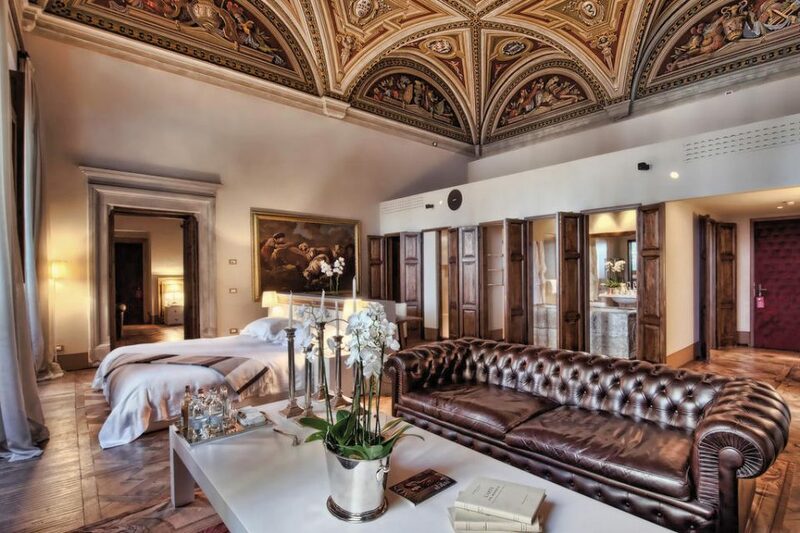 With surprisingly a lot of choice in one small city, these select few are our personal recommendations for the best luxury accommodation in Florence. 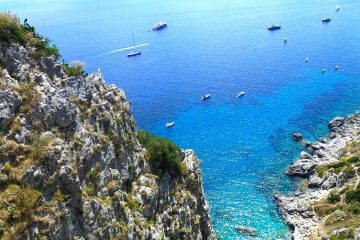 Ranking these based on location, amenities, decor and level of service, these are truly the best of the best for a luxurious stay in Italy.